Why See Carly Rae Jepsen? Carly Rae Jepson - See her maybe? The Canadian purveyor of bouncy dance-pop heads out on the Dedicated Tour this Summer, in support of the May 17th release of her hotly anticipated fourth studio album Dedicated. Perhaps best known for her 2011 blockbuster super-hit 'Call Me Maybe', Jepsen has become a cheerful advocate of pure pop music, shying away from flamboyant self-promotion in favor of letting her music speak for herself. In addition, she showed the world her blossoming musical theater chops during her Broadway debut in Cinderella in 2014 and a stint starring as Frenchy in the 2016 Grease Live! production on Fox. Jepson's catchy, sugary-sweet odes to love have made her something of a modern gay icon, ever since the runaway cult success of her third album Emotion and its Side B release in 2015. Perhaps its because her bubblegum-flavored song craft taps into relatable themes of escape, longing and the highs and lows of love, revelling in both their pleasure and pain. Or perhaps it's because she knows how to keep a dance-floor pumping with feel good hooks and danceable beats! Whatever the case, don't miss an evening of bubbly bops with Carly Rae when she arrives at in , , . Seen Carly Rae Jepsen? Loved it? Hated it? Help your fellow Chicago-Theater.com visitors by leaving the first review! Sound good to you? 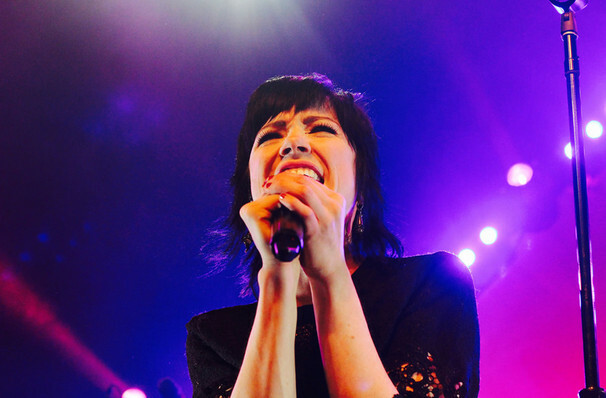 Share this page on social media and let your friends know about Carly Rae Jepsen at The Chicago Theatre. This is an independent website not affiliated with the venue. 'The Chicago Theatre' as well as all associated graphics, logos, and/or other trademarks, tradenames or copyrights are the property of MSG CHICAGO, LLC and are used herein for factual descriptive purposes only. This website is in no way associated with or authorized by MSG CHICAGO, LLC and neither that entity nor any of its affiliates have licensed or endorsed us to sell tickets, goods and or services in conjunction with their events. 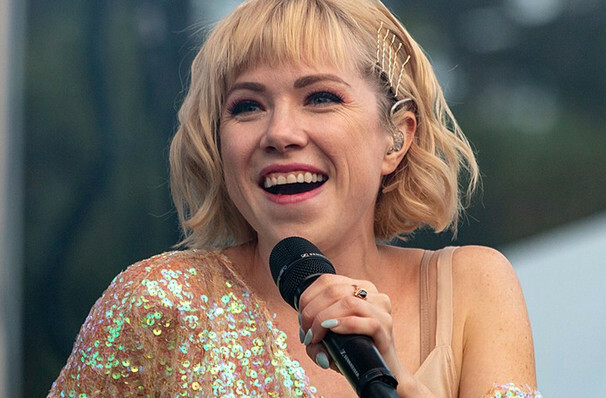 The term Carly Rae Jepsen as well as all associated graphics, logos, and/or other trademarks, tradenames or copyrights are the property of Carly Rae Jepsen and are used herein for factual descriptive purposes only. We are in no way associated with or authorized by Carly Rae Jepsen and neither that entity nor any of its affiliates have licensed or endorsed us to sell tickets, goods and or services in conjunction with their events.